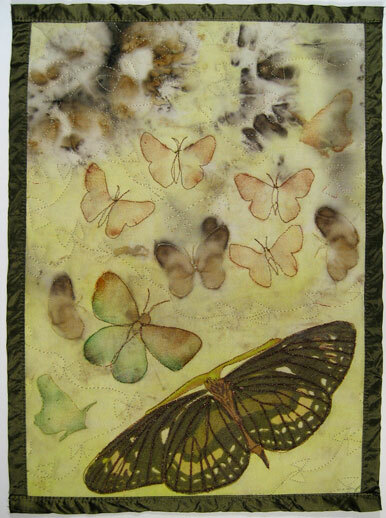 There are so many butterflies in the garden, I felt I wanted to turn my piece of compost dyed fabric with its unexpected butterfly images into a quilt for this month. The collaged butterfly at the bottom comes from a scarf I bought in Portabello market a while ago. 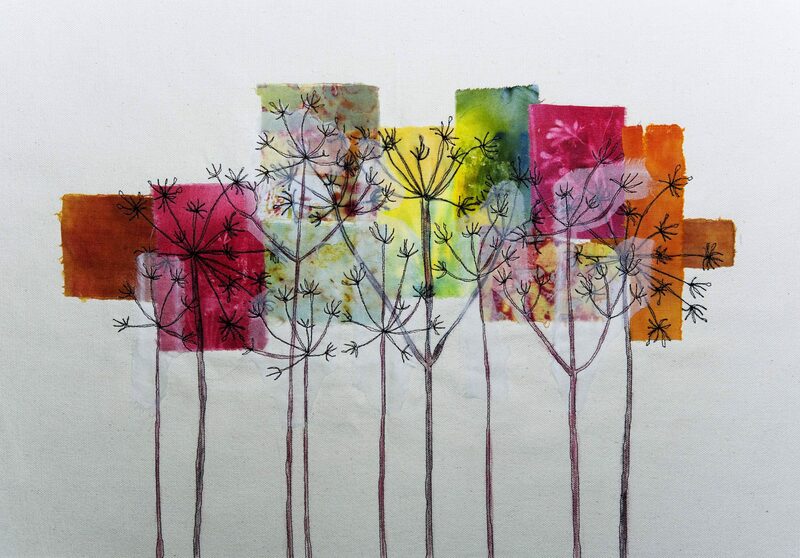 I made three stencils and used these with Markell paint sticks and then added stitching around the images. It took me ages to decide how to quilt the background until I ‘invented’ a profusion of distant butterfly wing shapes. 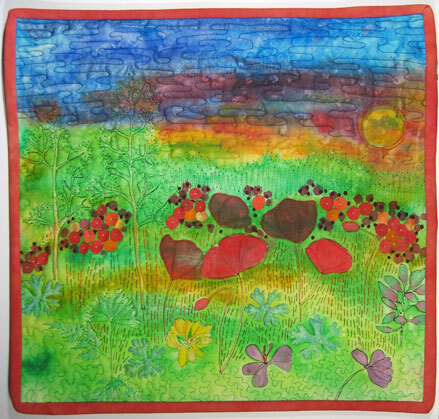 This next quilt started out as a sun print, using Pebeo seta colour transparent paints. I painted a landscape and laid on various dried plant material. But it didn’t look right, so I added more paint to the images, some collage and then machine and hand stitch.